Phirni is the famous creamy sweet dishes of Jammu and Kashmir. 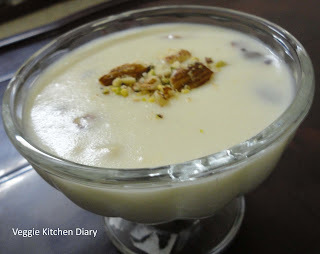 This dish is quite easy and simple to make and is an ideal dessert during festivals. Phirni is exceptional and valued as it is low sugar, low fat, high calcium and high protein healthy nutritious sweet dessert. 1. Heat the milk in a pan till it comes to a boil, and then simmer. 5. Refrigerate for 2-3 hours. Serve Chilled.